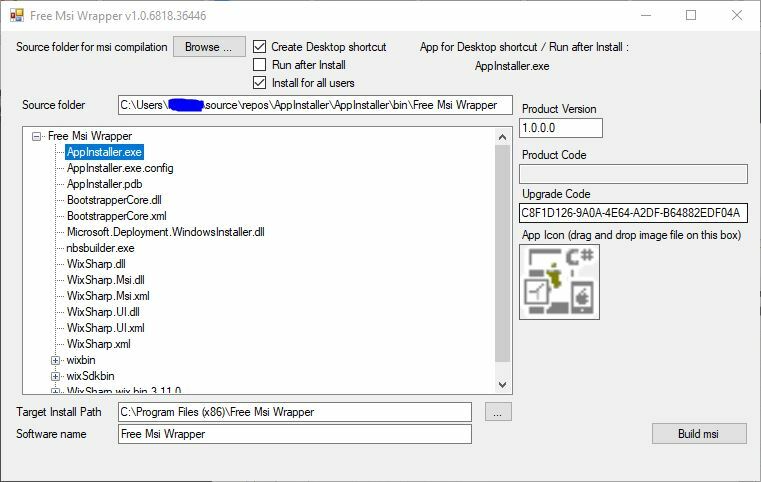 Tagged c#, dotnet, exe, exe 2 msi, exe to msi, folder 2 msi, folder to msi, free, free msi wrapper, msi, msi exe wrapper, msi wrapper, source, SSCM, System Center Configuration Manager, wix, wixsharp, wrapper. Bookmark the permalink. Very good! Just what I was looking for! I tried to use your MSI wrapper, but run into error “Cannot package ManagedCA assembly(C:\Program Files (x86)\Free Msi Wrapper\WixSharp.dll)”. I installed on a Windows 10 (default install folder). What am I doing wrong?